WHAT: Dreams—like that one you had where you were running around in frantic search of an affordable wedding gown—really do come true at the Movin 92.5 and Brides for a Cause annual Dress Dash. 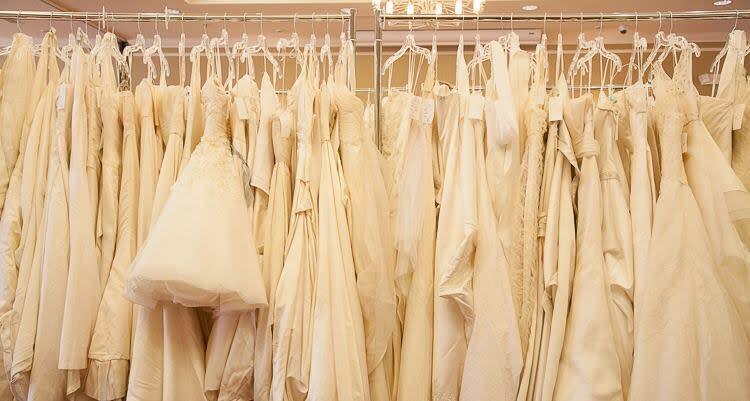 The wedding gown sale features over 500 gently used gowns in sizes 0 to 24 available for only $150 each. Half of all proceeds will support the nonprofit, Wish Upon a Wedding, and their mission to help struggling couples achieve their big-day dreams. Already married? Give your wedding dress new life by donating any style from 2005 or later, and receive a tax write-off and all those good feels in return. WHEN: Head to SeaTac on January 31 from 7 to 11am. Admission is free, but you are encouraged to let them know you're coming via the event's Eventbrite page.